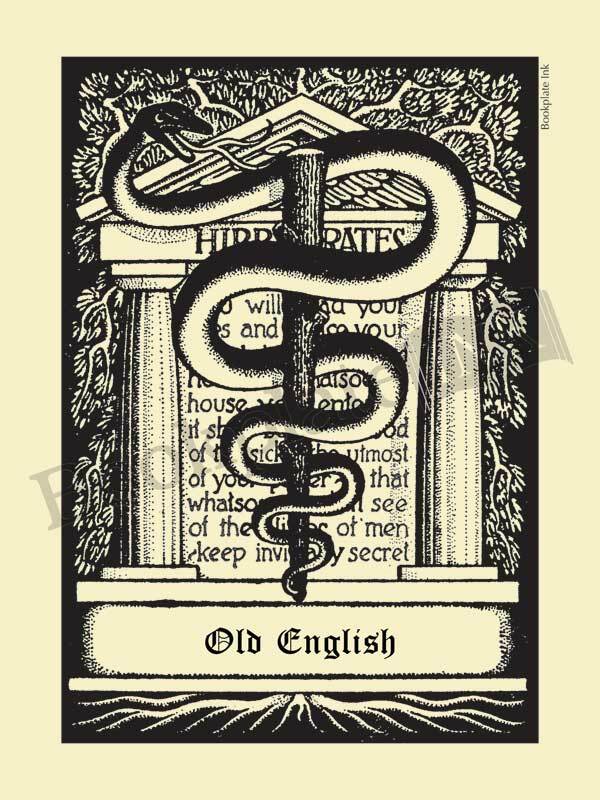 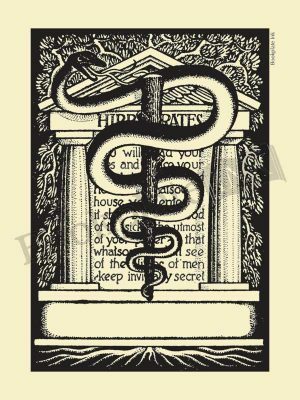 This medical bookplate was one of several popular designs by Antioch College student David Sarvis. The Antioch Bookplate Company introduced it in the early 1940s. Part of the Hippocratic Oath can be seen in the background between the pillars. A very popular design with doctors.